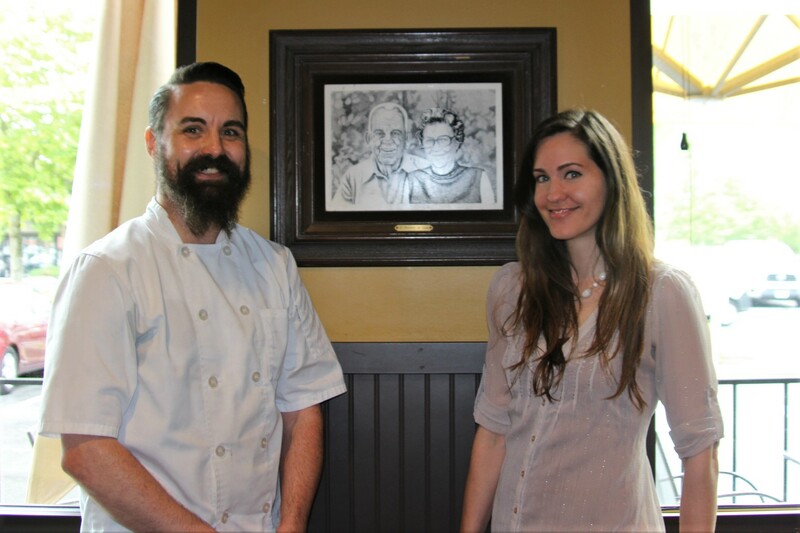 According to Rachel Young and Willis Maxfield, their partnership was unexpected. But after our conversation, it’s undeniable that they found each other exactly when they were supposed to. One, a self-described baking addict, business owner and single mother of three, the other, a former pot grower who escaped a life of crime and turned his love of cooking into a transformative career and life’s work. 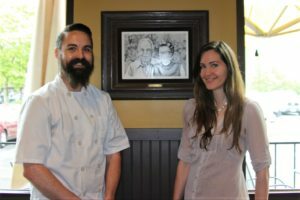 Both exude a palpable passion for what they do, and their newfound opportunity to combine their love of food and community into one space – Lacey Forza Bistro and Event Center, are what some would say, was meant to be. You may have heard of Rachel. The Olympia native founded Miss Moffett’s Mystical Cupcakes in 2012, and created a buzz after she appeared on Food Network’s Cupcake Wars in 2013. Named after her great-grandmother and baking inspiration, Rachel Moffett, Rachel currently has three retail stores and several wholesale outlets selling her delicious homemade cupcakes. Willis may not be on your radar, yet; but given the opportunity to bear witness to his unabridged authenticity, peaceful demeanor, and intoxicating love of life, it’s immediately apparent that he is not someone you will soon forget. His journey to becoming the executive chef at Lacey Forza was a winding road fraught with missteps, growth, and ultimately, redemption. Willis is an open book and speaks unabashedly about his troubled past. Growing up in Desert Hot Springs, a violent, impoverished city of almost 30,000 just north of Palm Springs, California, it would seem the cards were stacked against him from the beginning. Raised under the hand of both a cult-like church and dysfunctional home, , Willis says he was pulled into a life of crime from an early age. This was juxtaposed with the underpinning of a strong moral compass, which he attributes to pouring over the Bible and rigid Sunday school teachings throughout his childhood. Despite efforts to do the right thing, Willis found himself rolling with a rough crowd and tangled into a life selling drugs, where he says future outcomes were either jail or death. From 2005 to 2011, he grew and sold massive amounts of marijuana all over the country, running operations in Southern California, Tennessee, and finally, in the Pacific Northwest. But like most lives of crime, it was only a matter of time before it all came crashing down, and in 2011, Willis was arrested and sentenced to six years in prison. But through darkness came light. It was during his road to reform that Willis met several men who would become teachers and mentors, sparking an impetus in him for real, profound change. Men like his attorney, Jim Dixon, who granted him grace and believed in his potential. Men like the prosecuting attorney, Jon Tunheim, who shortened his six year sentence to four and a half months with parole. Through jail and two years of court appointed therapy, Willis began to heal and turn his life around. Finding inspiration from renowned chefs like Anthony Bourdain and Andrew Zimmern, Willis decided to hone in on his craft and turn his passion into his life’s work. Willis and Rachel’s path didn’t intersect until October 2017, when they were first introduced by Willis’s stepmom, but the unique timing and unpredictable circumstance lead both of them to believe it was something greater that brought them together. Rachel moved into the Forza space on February 1 and is optimistic about the partnership. She says the location on 130 Marvin Road in Lacey allows for so much more than just a coffee shop. 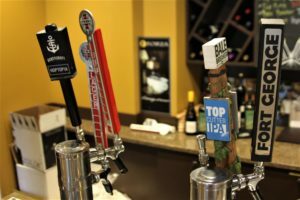 Rotating beer taps, an event space that holds up to 100 people, live music and trivia nights, full service catering, happy hour and specialty drink menus can all be found here. While Miss Moffett’s Mystical Cupcakes will remain the staple brand, Rachel will be launching her new wholesale food business, Miss Moffett’s Comfort Kitchen, where she and Willis can let their imaginations go wild creating original menu items, such as vegan Thai carrot soup, breakfast burritos, and pho tacos (a Willis original). Willis is particularly pumped on his bacon bourbon jam sandwich, an homage to his dear friend and former mentor, Jeff Nelson at EZ Foods Olympia. As always, Rachel will continue honoring her great-grandmother’s life in her work by baking up her beloved, made-from-scratch, gluten-free cupcakes. Both Rachel and Willis are passionate about creating a space for community at the Lacey Forza location, specifically a place for healing. Willis especially wants to help change the people’s perception and relationship to their local police officers, and says now more than ever is a time to come together and build relationships. It may have been a winding road to get here, but Rachel and Willis seem to have finally arrived at exactly where they’re meant to be. 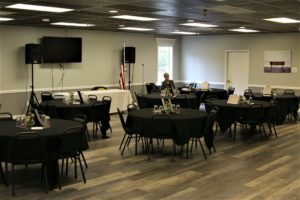 Their commitment to providing the community with a safe haven of healing and connection, while providing delicious food and drinks made with love and magic, will surely create a much needed positive ripple effect throughout Thurston County. 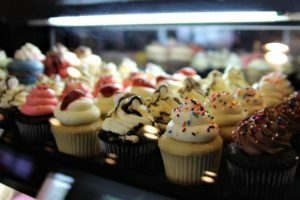 To learn more about the business, hours of operation, and menu items, visit the Miss Moffett’s Mystical Cupcakes website or the Lacey Forza website. To reserve the event space at Lacey Forza, call 360-688-8284 or send an email to eventcenter@laceyforza.com.